It is that time of year again. The stores are already stocking their shelves with school supplies, reminding us that the summer will soon be over and we will be back to our routines. Every year I used to think that it was way too soon to start shopping so like thousands of other people, I waited until a couple of weeks before school started to begin my school supplies hunt. And a hunt it was. I was frantically running around town from store to store trying to find everything my kids needed on the list. Every year it would be days before the first day and I still couldn’t locate manilla construction paper. Once I finally located it, I would pay just about any amount because I was so exhausted that I just didn’t care what it cost anymore. A few years ago I started shopping early. Finances were tight and I couldn’t afford to pay top dollar for anything. I first noticed that Walmart would offer certain items at $.10-$.25. I was shocked. One because they were such good deals and two because I had never noticed this. I guess when you are struggling these things grab your attention like never before. So I started buying a few items each week. I checked other stores and found out they all have discounted items every week up until school starts, but you have to start shopping early or they will have sales and will be sold out of the items they are offering. Last year I bought school supplies for four kids and spent less than $20. So if you are struggling financially or just want to save money, start shopping now! Check your local store’s websites for weekly ads to see what the items of the week are. 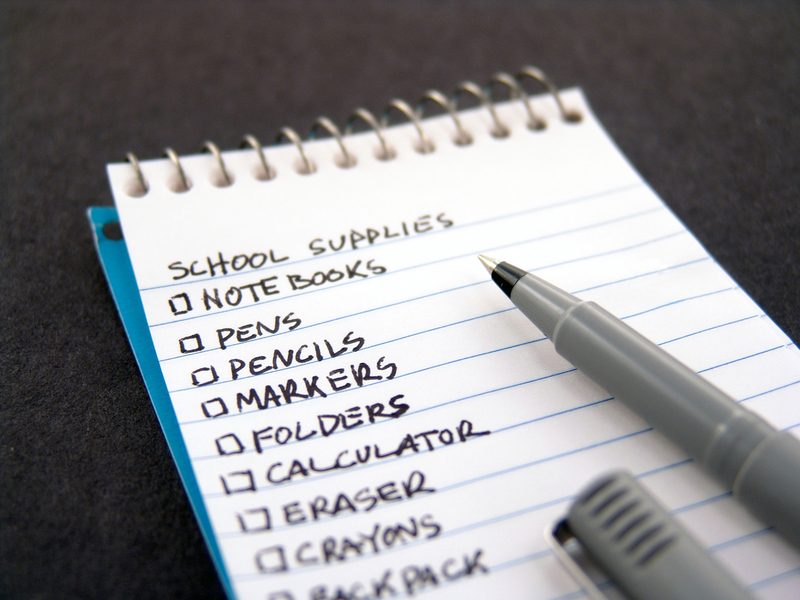 Plan ahead and stock up on the things your kids will need throughout the year, but be smart about it. Buying extra is only a good deal if you actually use it so don’t go overboard or you could be spending more money while saving money, which defeats the purpose all together! Just to give you a head start, this week Staples has cap erasers, a package of pens, and ruled note cards for only $.01 with any $5 purchase with a limit of 2 at that price. A six pack of glue sticks is only $1 (limit 2), pocket & brad folders are $.15, and a ream of copy paper is $.01 after rebate (limit 2). At Walmart, pocket & brad folders are also only $.15, Crayola crayons are $.50, 9X12 manilla paper is $.97, Crayola markers are $1.97. I am sure there are many more deals out there, you just have to look for them. I hope this helps save you money this back-to-school season! And in case you are one of those that buys the school supply packs sold at the end of the year through your child’s school, know you are overpaying. There is no reason we should break the bank to get our kids ready to attend school to learn!